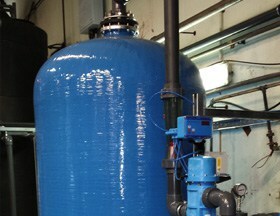 At AWT we produce a number of high quality and highly efficient industrial water filters for a range of applications. 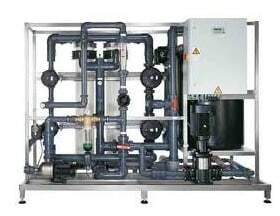 Our customers benefit from the peace of mind that the water produced by one of our systems and / or filters is of the highest quality. 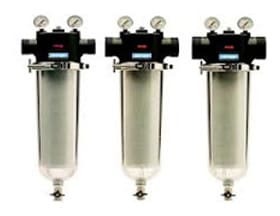 Some of the applications of our filters include industrial process water, produced water, waterwater and groundwater to name a few. Most towns water sources in the UK contain free chlorine to reduce the level of bacteria present in the water however this can add taste & odour and as a strong oxidant. Next to water hardness, the presence of Iron and Manganese in water is probably the most common water issue. Multi-media filter is a term usually used to refer to a filter containing media layers of anthracite, graded sand & a lower gravel support bed. Correction of pH using neutralising media. 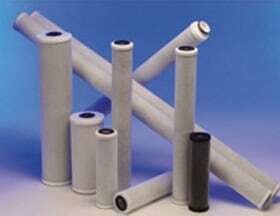 Falling in the range between nanofiltration and microfiltration, ultrafiltration (UF) membrane pore size creates a barrier to bacteria and viruses whilst still allowing passage of ions. 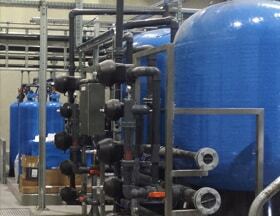 The CINTROPUR filter offers straightforward, cost effective protection of industrial installations.